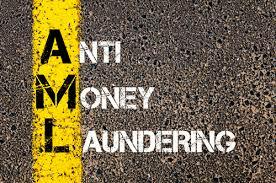 Long before 9/11, I was actively supporting significant anti-money laundering legislation pending before the US Congress, and actually testified three times, before committees of Congress, in 1999 and 2000. Unfortunately, powerful bank lobbying forces opposed to the additional expenses that effective AML compliance programs must cost, defeated all nine of those bills, and they never became law. It might be important to note that convicted fraudster R Allen Stanford was one of the major supporters of those lobby efforts. On December 29, 2000, I wrote a letter to the New York Times, Stop Money Laundering. pointing out how none of the critical bills were passed, and the fact checker at the Times verified that my statements were sadly true and correct. Readers who wish to read that letter can access it here. Now Republicans in the House of Representatives are at it again, obviously putting their campaign contributors ahead of the war on money laundering. The provision, placed in the Counter-Terrorism and Illicit Finance Act, which mandates complete disclosure of beneficial ownership of corporation, was cleverly deleted from the final draft, which can be viewed here. The vote on the bill, with the beneficial ownership requirement removed, is due for a vote tomorrow (June 14th). No wonder many experts believe we are losing the war on money laundering.